Founded in 1936, the Lake District Ski Club operates a 360-metre button tow on Raise, next to Helvellyn in the Lake District National Park. An hour's walk from the mines at Glenridding, Raise is positioned for the best snow in the Lakes and the tow gives access to a substantial part of the mountain. There are up to nine runs available, depending on prevailing conditions, the longest of which is almost a mile. Raise's ungroomed slopes provide for a unique experience, with a total of sixty days of skiing enjoyed during particularly good seasons. While it is an austere environment, we have a very cosy heated members' hut! The Lake District Ski Club offers a highly cost-effective way of skiing. Membership is £50 per year when you pay by direct debit (or £60 if you pay by PayPal or cash at the tow), meaning you can ski as many times as you like. Alternatively you can ski for a day as a guest for £30. 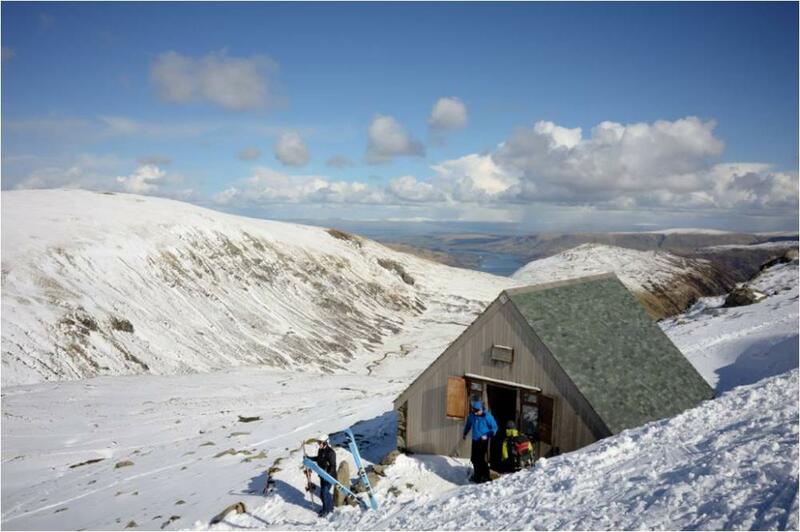 The Lake District Ski Club is situated near the top of one of England's highest peaks. You should be well-equipped for a mountain environment and fit enough to make the steep climb up carrying your gear. PLEASE NOTE: WE DO NOT HAVE ANY SKI HIRE OR TUITION FACILITIES, ACCOMMODATION OR HOLIDAY PACKAGES. Getting to and from the tow safely is YOUR responsibility. Please help us by making sure that you have read and understood all of the information on this website (preferably before you post on our Facebook page...), abide by the rules, obey all signage... and, most of all... have fun! Watch our short video about Raise, made in 2009 by club members Ben Barden and Debbie McGowan. ALL MEMBERS MUST TAKE NOTE OF SIGNS AND WARNINGS TO AVOID DAMAGING THEMSELVES OR OTHER SKIERS.